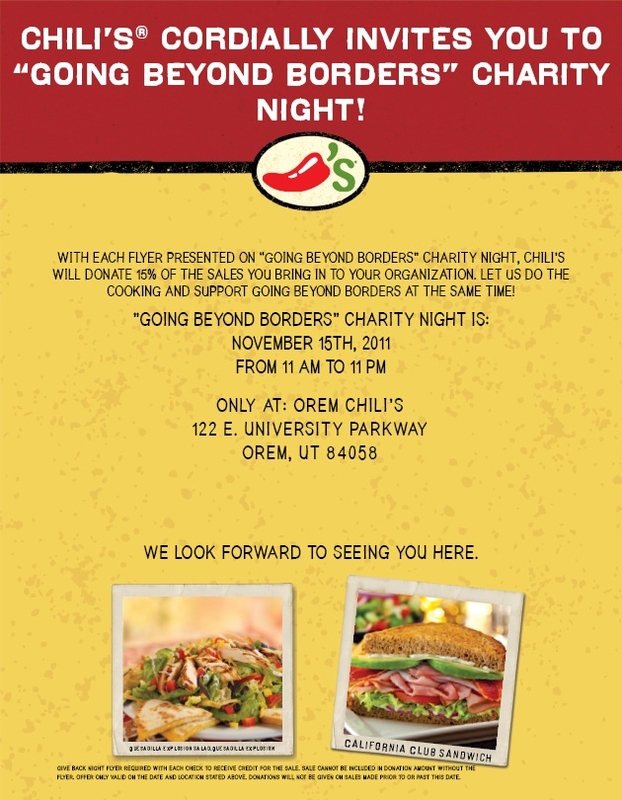 Come support Going Beyond Borders by having dinner at Chili’s in Orem, UT. With each flyer presented on November 15th from 11am to 11pm Chili’s® will donate 15% of the sales to Going Beyond Borders. This special is only available at the Orem, UT Chili’s Located at 122 E. University Parkway Orem, UT 84058. Please remember you need to present a copy of the flyer for your meal to count! You can download the flyer as a pdf by clicking here.